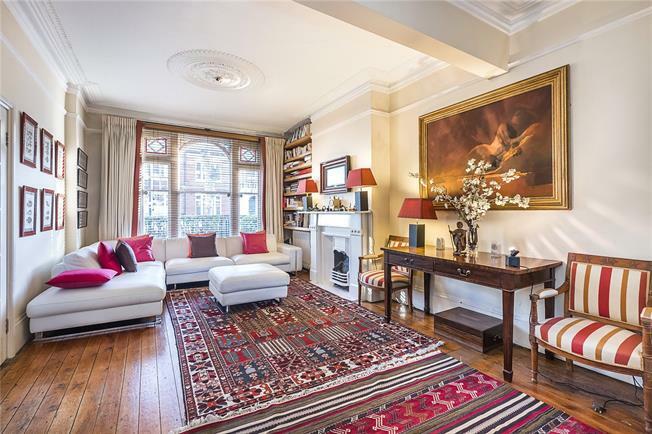 6 Bedroom Terraced House For Sale in London for Asking Price £1,500,000. A spacious and delightful Lion house on the edge of the Peterborough Estate offering excellent living accommodation stretching over 2600 sqft. • Open plan kitchen/dining room. • 40ft west facing garden. • Two bathrooms, one shower room. • Potential to extend, subject to the necessary planning approval being obtained. The nearest transport is either at Fulham Broadway on the District Line, Wandsworth Town or Imperial Wharf overground. There are also several bus routes into the City with bus stops running the length of the main road.